Before Sonic was competing in the Olympic Games, racing a vehicle, or brawling, he was running around the hearts of many gamers for years. However while recent efforts have been hit and miss, Sega isn’t about to let everyone’s favorite hedgehog disappear. 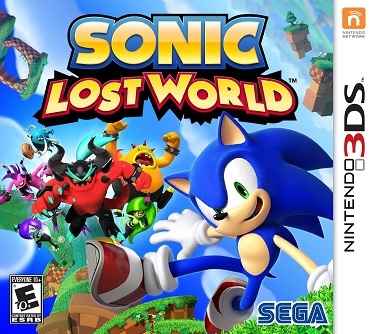 As such they have brought their latest Sonic game to Nintendo platforms in the form of Sonic Lost World. 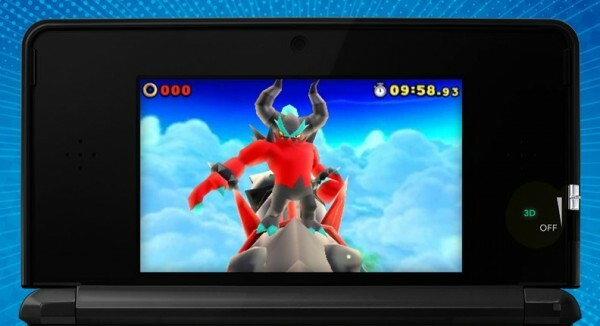 Does the 3DS version of Sonic Lost World have anything good to offer for fans of the Blue Blur? While attempting to take down Dr. Eggman, Sonic and Tails find themselves on a new world where they Eggman has managed to gain control over six powerful creatures that are called the “Deadly Six.” However when these six manage to free themselves from the control of Eggman, they begin sapping the world of its power. Not only this, they have also gained control of Eggman’s badnik army. In an effort to put a stop to the Deadly Six and save not only this new world but also their own, Sonic and Eggman must work together to put a stop to these new threatening enemies. The story of Sonic Lost World is rather mundane, though Sonic isn’t actually known for its great storytelling. That being said, the only way that the story is told is through terrible looking cutscenes which seem to be trimmed to the bare minimum as far as details go, or perhaps the story was simply not fleshed out in any way other than a reason to give Sonic a chance to take on some new opponents. 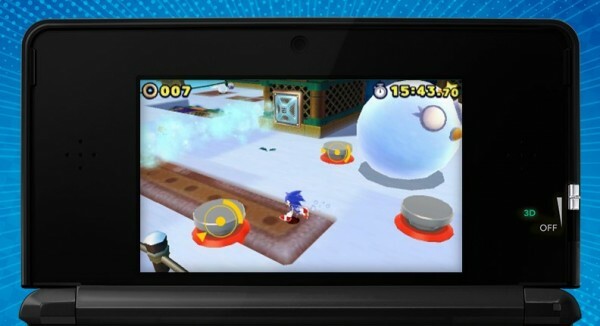 Sonic Lost World attempts to bring together a number of new mechanics while also keeping a number of classic elements integrated into the game. Every stage in the game sees Sonic having to run through a level, defeating or avoiding the enemies in his path, gathering rings, navigate through a multitude of obstacles and finish the stage to advance to the next area, potentially to face off against a boss. As players make their way through the game Sonic still has his old bag of tricks where he spin-dashes, uses a homing attack to take down enemies in his path, picks up various bonuses that make him run faster, protect him from damage for a small time and other various pick-ups but this is mixed up with the new parkour aspect of the game which allows for Sonic to run along walls, jump between walls while running, and also run up and over walls as he navigates through the various levels in the game. Various other inclusions feature the return of the Color Powers that see Sonic having a special ability depending on what Wisp he is using, Tails’ workshop which can give the player certain advantages with items that are crafted with materials earned by completing levels and boss battles, though these boss battles also turn out to be mediocre and mundane. To start things off, Sonic Lost World displays a rather large amount of variety in its gameplay. There are early stages where players can run through an area quickly and areas where players will need to be very careful as they time their jumps and navigate through a number of difficult platforming sections. However what it offers in variety quickly wears thin when the game begins to devolve into something that may have been seen as an effort in variety and simply turned into an effort in testing the player’s patience. While there are always numerous routes to take through a level, the level designs in Sonic Lost World are terrible. Players can find themselves taking a path only to find themselves going in a complete circle, something the game seems to anticipate considering the lengthy time limit most stages have. These issues are compounded with the fact that sometimes players simply have to take a leap of faith if they want to advance, often dying simply because they didn’t do exactly what the game wanted but giving absolutely no hint as to what they should have done in the first place. It is one thing to be challenging, it is another simply to have such poorly devised areas that eat away at lives. It also doesn’t help that the game slows down to a crawl any time the game forces a puzzle aspect on the player, which require the player to slow down, complete a menial task, often involving pushing objects onto switches and continuing on. Of course there are now battle areas where Sonic has to defeat a set amount of enemies before he can advance, which wouldn’t be so much of an issue if the game’s lock-on system worked more often than not as Sonic would often completely miss enemies he had locked on too only to lose rings in the process. While this feature is standard, where certain enemies need to be stunned prior to being attacked, there are a number of enemies which require extended lock-on sequences simply to deal damage to which only makes the game slower and more monotonous than it ever should be. There are a few bonus modes to the game as well as hidden elements to the game which involve collecting five red star rings. 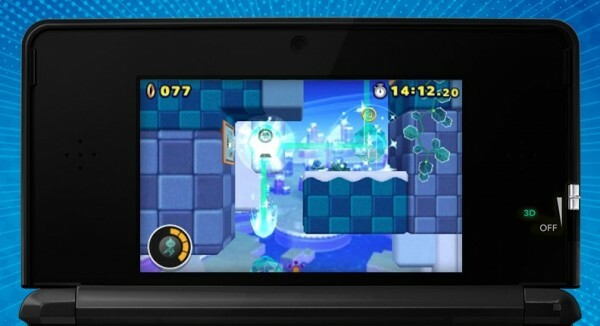 Players can return to previous levels after advancing far enough into the game to unlock new pathways and some additional gameplay from previously beaten levels. 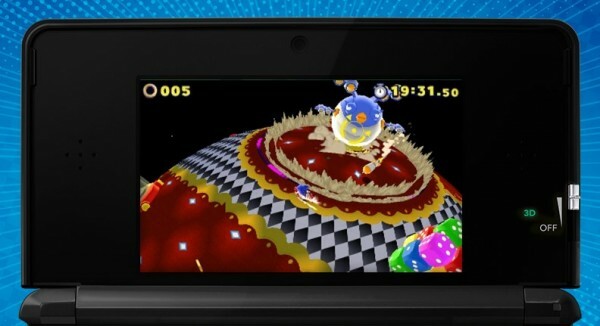 It is also worth noting that there are bonus levels where players can try to obtain a Chaos Emerald, however these stages are controlled entirely with the 3DS’ gyroscope which handles so terribly that players will probably feel sick to their stomach and quitting out of the stage long before completing it. 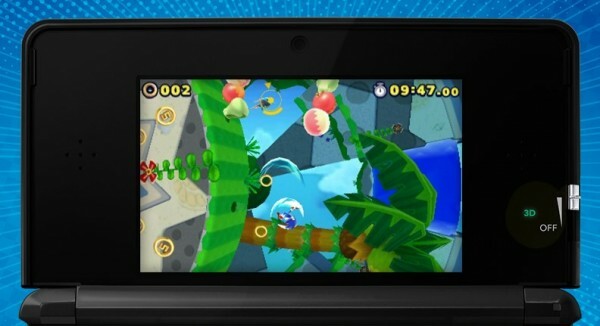 The Sonic franchise is known for having brightly colored areas and a lot of variety and Sonic Lost World doesn’t disappoint in this regard as each of the themed areas have a unique theme that manages to blend nostalgic areas with fresh levels, however the aforementioned issue still remains that these levels are terribly structured and designed and more often than not, boring. It also doesn’t help that, although the gameplay itself sees Sonic looking rather nice in motion and the character designs of the Deadly Six are nice to see, the game suffers terribly whenever it is pushed to any length. If the player is hit while carrying anything more than fifty rings then prepare for a lot of slowdown as the game struggles to deal with the amount of rings on-screen. It is also worth noting that while cut-scenes are included in this game, they are compressed to such a terrible degree that every video is blurry looking, regardless of the 3D slider which actually makes things worse. It is worth noting that Sonic Lost World does have English voice work for what it is worth and it is what we have come to aspect over the years, nothing impressive but nothing too badly handled either. Thankfully the game’s soundtrack is rather impressive with some nice background music set to the stages that players find themselves having to deal with, often for extended periods of time. Sonic Lost World kicks off with a bang that helps lull gamers into a sense that this may be something great but slowly devolves into another troublesome entry into Sonic’s growing list of mediocre titles. While it has a few shining moments and a number of returning and new aspects are nice additions, terrible level design and tiring implementation of stalling mechanics make Sonic Lost World a game that fans will want to forget.